In 1920 a rancher named Tom Clark discovered a source of concentrated botanical material from earths prehistoric past. When these mineralized remains were carefully selected and processed they produced a solution which Tom and others believed saved his life. Tom dubbed his find “Colloidal Minerals” and today his formula is widely acclaimed for its medicinal and nutritional value. There is something else Tom discovered that may be of equal value. 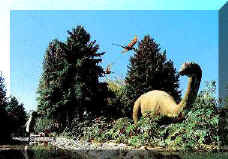 The prehistoric topsoil shown below is an example of what Senate Document 264 talks about. Often incorrectly referred to as “Humic Shale” or “Clay”, it is actually Mudstone formed as moistened topsoil solidified over millions of years. Many popular “Colloidal Mineral” brands formulated to compete with the T. J. Clark Product that are produced in Utah are made from this or similar material because it is available over a large area. It contains many useful metallic trace minerals but its mineral content varies significantly throughout the area.. 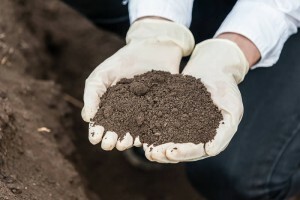 The value of this material as a nutritional supplement may be questionable but there is little doubt that much of this material could be used to re-mineralize our depleted farmlands.